I am in the best of the best moods right now and it's because I'm staying on top of all my assignments, and I'm going home so so soon. I am also absolutely in love with my outfit today and about froze on the way home. Ok, that last part doesn't sound enjoyable, but I like being chilly outside and feeling instant relief when I get inside in the warmth and snuggle up. It also gives me a normal excuse to consume hot chocolate (People think I'm weird for drinking hot chocolate in the summer. It doesn't magically taste bad just because it's hot outside!?). I feel like the pictures don't give the outfit justice, because I did them in a rush. The camera is leaning, the quality and lighting are off, and I didn't quite get detail shots like I usually do, but MAN! do I love this outfit. 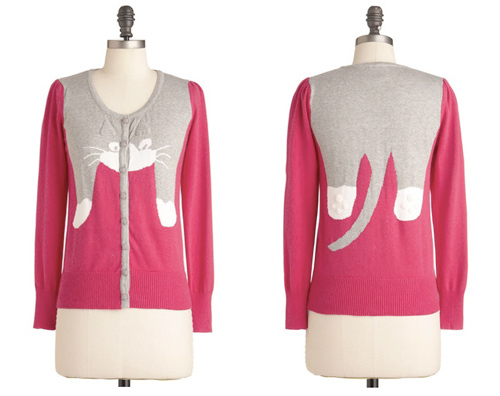 This cardigan is also my favorite that I own. It was hidden among a rack full of clothes at TJ Maxx, and I'm so glad I found it and was able to take it home. I decided to triple up again on the challenge since it just didn't seem right to post the challenges the last 2 days. I don't mind tripling up since it gives me more to work with and show you, and I hope you don't mind either =] (cuz I'm doin' it anyways! Muahaha!). 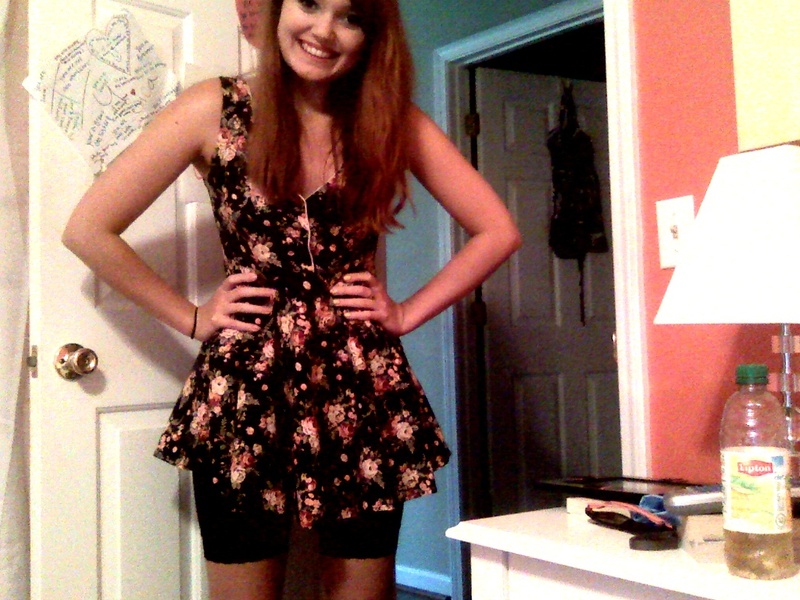 Sorry for a webcam quality picture, but I used it because this was taken right before I went on my first "date" with Patrick and met some of the best friends I've ever had. It is very special to me. This dress is my favorite and it's already been on the blog twice even though I've only been posting for 2 months! A tee-shirt and jean shorts. Yup. That's it. I see other fashion bloggers with their "Oh, this is my lazy day outfit" or "I didn't bother getting dressed up today" and they're somehow still in heels and their hair done and looking absolutely fabulous. Not this chica. I'm even wearing my favorite Olan Roger's "What the Poop" shirt. Welp! I'm ending my super long post here. I hope everyone is doing well and had a swell Monday. I'm seriously in a perpetual fit of butterflies over the fact that I get to see my love in days!